The temps soared into the 90s today, so we headed to the beach. 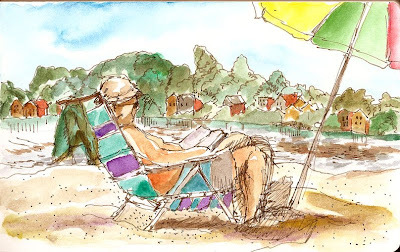 M kayaked while I sketched this reader relaxing in his beach chair. I'm still getting used to the intensity of the W&N Artist's watercolors -- they're also harder to regulate with a waterbrush.